This webinar is intended to educate interventional cardiologists and cathlab staff on the novel approaches, techniques and materials for percutaneous treatment of coronary chronic occlusions. 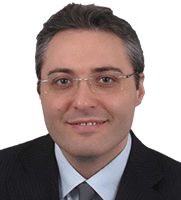 Dr. Roberto Diletti is interventional cardiologist at the Thoraxcenter, Erasmus MC, in Rotterdam. He obtained the degree of PhD based upon his research in percutaneous coronary interventions. He published widely within the fields of bioresorbable scaffolds, acute coronary syndromes and coronary chronic total occlusions. He has significant expertise in complex PCI and live cases. He has a particular interest in CTO education and in the implementation of new technologies and techniques. He is currently leading the clinical research on acute coronary syndromes and the CTO program at Thoraxcenter, Erasmus MC.